I’m sure most of you have seen and heard about cloud computing but what do this really mean and why should you care? 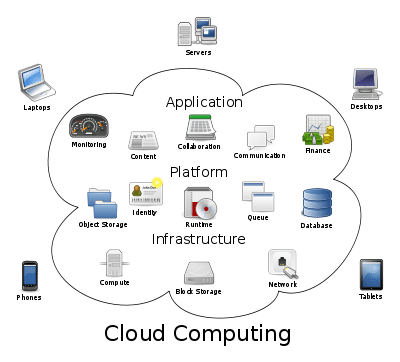 Cloud Computing is a form of computing in which all applications, information and resources are managed in a virtual environment. There are three main variations of cloud computing: Infrastructure-as-a-Service (IaaS), Platform-as-a-Service (PaaS) and Software-as-a-Service (SaaS). Cloud computing makes good business sense as it offers a solution that can change the way you run your business making it more efficient and saving valuable time and money. But ComUnion Team made running and growing a business a lot easier. ComUnion introduced their very own Enterprise Resource Planning and Management (ERP) system, ComUnion Web Erp. ComUnion Web Erp is enterprise software that is free to download, free to use, free to modify, and free to redistribute. It integrates all data and processes of an organization into a unified system, providing benefits that range from standardization and lower maintenance (one system instead of two or more) to easier and/or greater reporting capabilities (as all data is typically kept in one database). *** Adjust quickly to changes in the business environment. ComUnion Web Erp system consists of a whole range of business intelligence tools to customize dashboards, reports and financial affairs. *** Capture, analyze and share business intelligence about customers and company operations with employees, suppliers, and partners in order to make better business decisions. You may download ComUnion for free and try it yourself! ComUnion ERP community edition is licensed under the GNU Public License version 3. This license ensures that all users have access to the source code, and can modify that source code so long as the resulting product also meets the licensing requirements. There was a future plans for ComUnion Web Erp to release a commercially-supported version in which it would use a more stable software releases. However, on the year 2009 the team decided to pursue product reselling instead of development. e. Now the group welcomes fine companies fitted to handle and continue ComUnion Web ERP.